Ryan and his friend Jonathan barely made it out of the bowling alley when the virus hit. They were stunned when a young child started to attack people and was biting chunks right out of their bodies. After going to Jonathan's house, Ryan needs to find out if his family is still alive. He dreads going inside, but his mother and his sister might need his help to stay safe. What will Ryan find when he enters his house? Ryan knows that they can't stay in town so they have to find another safe place. Jonathan remembers a cabin in the woods where he always went when he'd go fishing with his dad. On their way to this place they find out that the world has become infested with zombies and that survival is nothing like the games they played on their computers. Will they make it to the woods without getting hurt? Ryan's Luck is the second story in the Death's Children series. This series shows the new world through the eyes of the children who survived the first days. Ryan isn't a tough kid, but he needs to learn how to handle a weapon of any kind as fast as possible. He's smart and his quick thinking saves them numerous times. 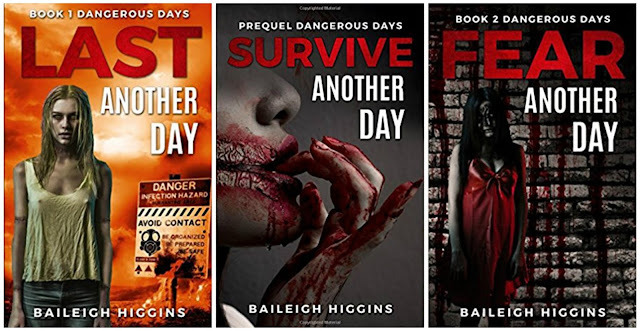 Ever since I read Last Another Day I've been a big fan of Baileigh Higgins. 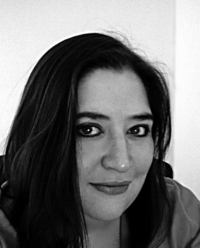 Her stories feel so real and are spine-chillingly frightening. 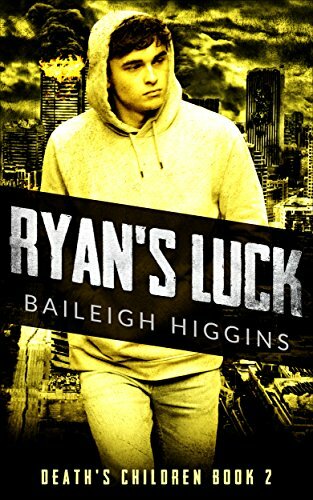 I read Ryan's Luck in one sitting and didn't want to put it down. Lucy is a five-year-old girl who's stuck between her arguing parents. Lucy always goes shopping with her mother, but on that particularly day she'd rather stay home with her father. Her mother won't take no for an answer, so Lucy goes with her anyway. As soon as she steps out of the car she knows something is wrong. All of the birds and other animals are gone and the streets are completely silent. After they go into the first store, Lucy spots a strange man who seems to be after them. How will her mother and the store owner, Jared, respond when they get attacked? Lucy learned not to go against her mother's wishes. She really wants her father and is very scared. Jared was bitten and he's not looking well. Lucy's mother calls the police and it turns out that this virus is spreading fast. They decide to make a run for the pharmacy to see if they can get Jared the medical care that he needs. The police is not coming for them, so they need to rely on themselves to stay safe. Will Lucy's father come to rescue them? 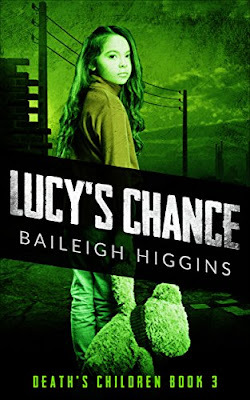 Lucy's Chance is another short zombie story that is part of the Death's Children series. Showing the zombie apocalypse through the eyes of a child makes it even more scary for me. Lucy is only five years old and she's still so pure and innocent. Children are much more in sync with their surroundings and they pay attention to other details than adults. Lucy instantly knows things aren't right. I kept wishing I could save Lucy and protect her against the zombies who are hunting for their next meal. 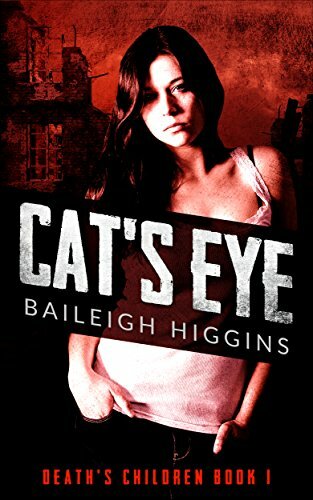 Baileigh Higgins is an experienced and skillful writer and she has written another brilliant story that I highly recommend. She is one of my favorite authors of bone-chilling zombie stories. If you're a fan of the zombie genre you shouldn't miss the Death's Children series. The stories can be read as standalones. The Death's Children Series sounds perfect for fans of the zombie apocalypse genre. I already have her on my author list. I'd love to win these. They are right up my alley! 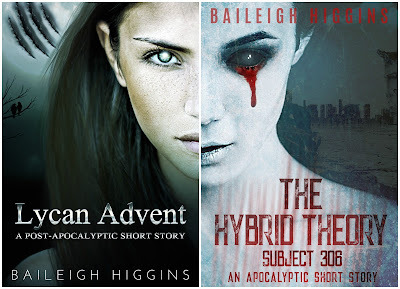 I don't read as many zombie novels as I should, and these sound ones that I DEFINITELY SHOULD read. Love the covers (big draw for me). fantastic covers, and the content looks amazing, can't wait to dig in!! Love the review. sounds like a captivating ZOMBIE story. nothing like a good zombie series to read!! I love zombie stories. I will definetely read one of these! This is going on my must read list. Looks like a good one to read! Awesome cover illustrations. Looks like a set I'd get addicted to.